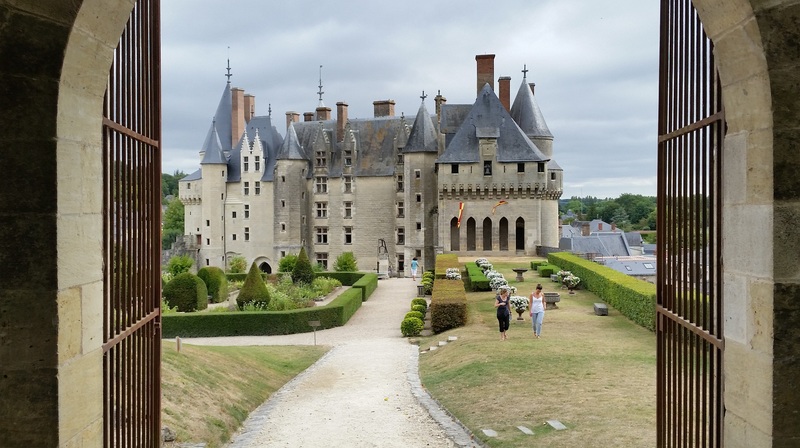 There are many beautiful and historic château in the Loire Valley of France and I was lucky enough to visit a few of them on my recent trip. Each of them has an interesting history and their own unique attraction. 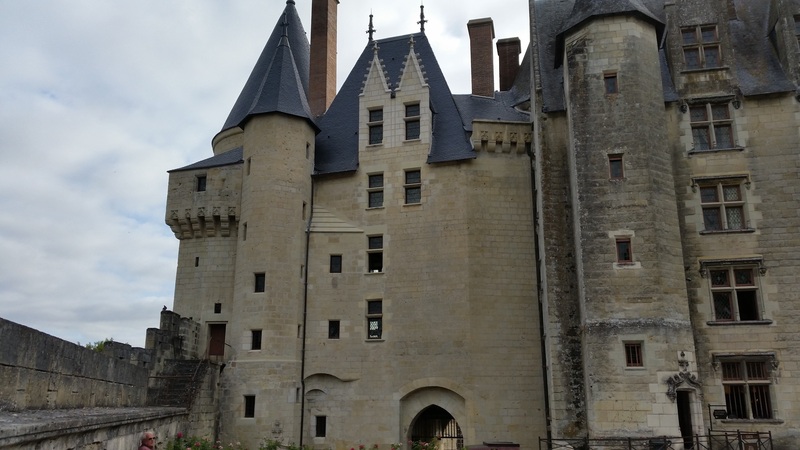 Let’s take a look at the history of the Château of Langeais. Langeais has a history that spans over one thousand years and can be separated into two phases. Towards the end of the tenth century, two powerful men, Foulques III Nerra (the Black), Count of Anjou and Eudes I, Count of Blois fought over the Touraine region of France. Foulques managed to conquer the area known as Langeais which was situated between Tours and Saumur. On a promontory overlooking the Loire River, he initially built a wooden structure in the motte-and-bailey form. The land where the castle stood was owned by Foulques but the area was controlled by Count Eudes. When Eudes found out about the castle being built, he immediately set out to destroy it. He was unsuccessful but Foulques decided to build a stone structure on the site. While construction was being carried out in the year 992, he made sporadic raids on Eudes’ land. The thin walls and shallow foundation of the surviving keep suggest the work was carried out in a hurried manner. In 994, Eudes again tried to seize the castle, calling on his fellow Norman, Flemish and Aquitanian allies. The castle was under siege and Foulques sent word to Hugh Capet, King of the Franks for reinforcements. Hugh was ill but he promised to help. In the meantime, many other allies came to Foulques aid. As the siege dragged on, Foulques began negotiations with Eudes but it appears he never actually surrendered. Hugh Capet’s forces eventually arrived and Eudes agreed to leave Foulques in peace. Foulques was forced to deal with hostilities on his western frontier and Eudes returned in 995 to Langeais, once again laying siege. This time the siege lasted about a year until Eudes died in March of 996. His forces withdrew and Foulques captured Eudes’ city of Tours. Robert, King of the Franks wrested Tours from him and Foulques withdrew to his own castles, including Langeais. Hostilities again broke out in 1016 between the Counts of Anjou and Blois. Foulques lost Langeais but gained it back in 1032. Once again the Count of Blois took Langeais and Foulques set about trying to recapture it in the winter of 1037. He lost Langeais in the spring of the following year. Under the Plantagenet king Richard the Lionheart, the château was fortified and expanded. His mortal enemy, King Philip II of France captured the castle in 1206 and it became a part of the royal domains. During the Hundred Years War, armed bands occupied the castle. King Charles VII bought the château in 1422 and had it destroyed, leaving one wall of the keep standing. It is one of the oldest keeps in stone still standing in France to this day. The second phase of the castle began when King Charles VII’s son, King Louis XI decided to build a new château in Langeais in 1465. 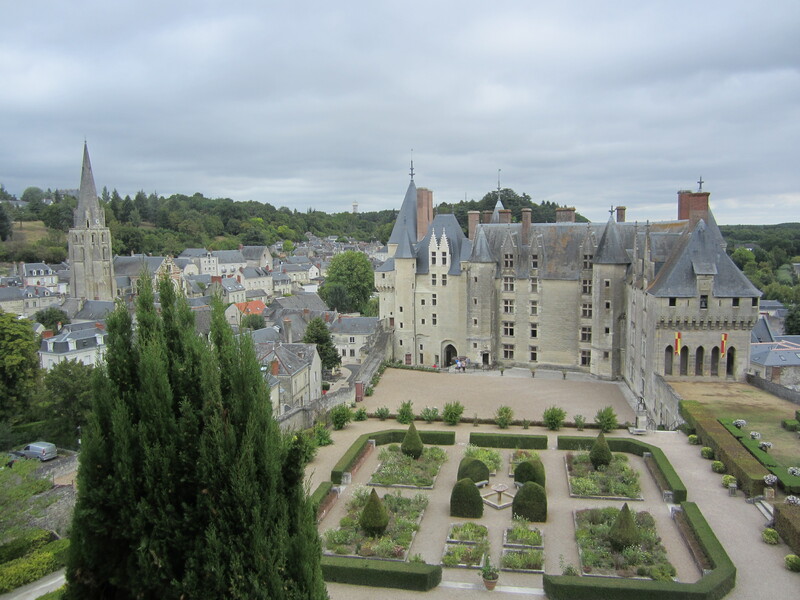 The construction of the castle took two years and was entrusted to Louis’ treasurer Jean Bourré and to Louis’ close friend Jean Briçonnet, the mayor of Tours. 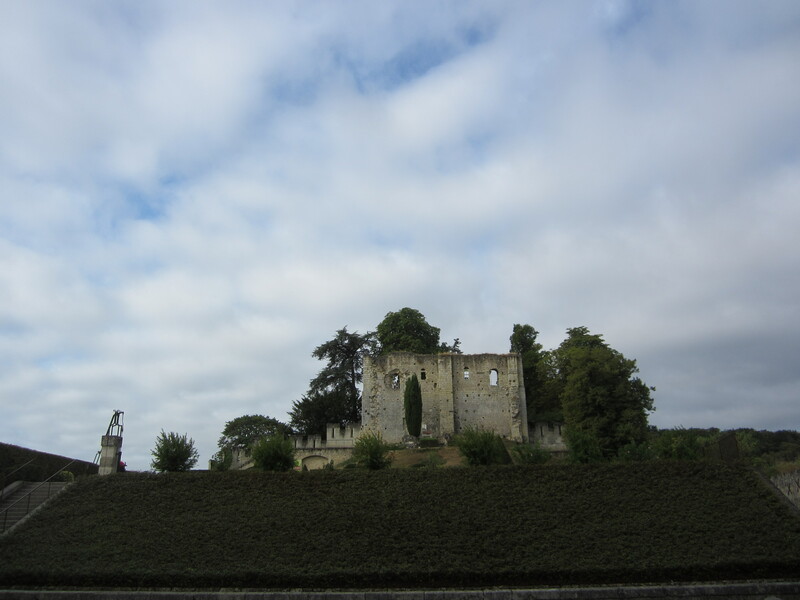 As you look at the château from the side of the town, it appears to be a medieval fortress with large towers, a working drawbridge, and a parapet with machicolations. From the courtyard, the castle appears as a comfortable residence with beautiful windows. In July of 1466, Louis granted the château to François de Dunois, his cousin and the son of the companion of Joan of Arc. After the surrender of the Breton city of Rennes in 1491, a contract was negotiated specifying the marriage of Anne, Duchess of Brittany to King Charles VIII, Louis XI’s son and heir. This was to be the beginning of the annexation of the duchy of Brittany into the crown lands of France. The marriage was celebrated in one of the halls of Langeais at dawn on December 6, 1491. 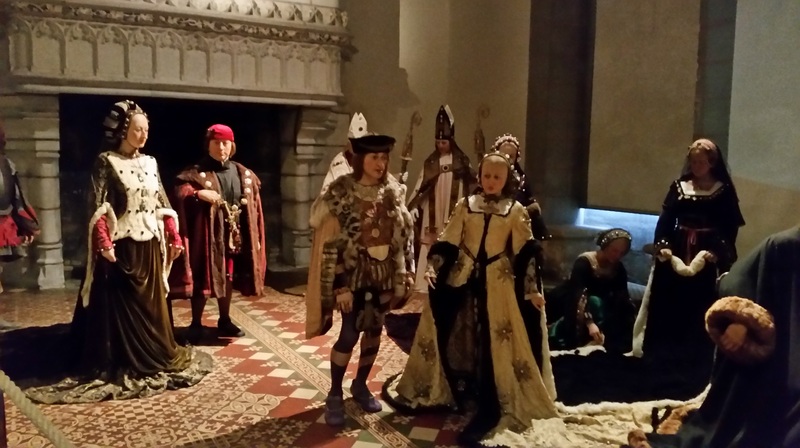 The scene of this marriage has been reconstructed in the very same room of the château with wax figures dressed in authentic costume of the time. 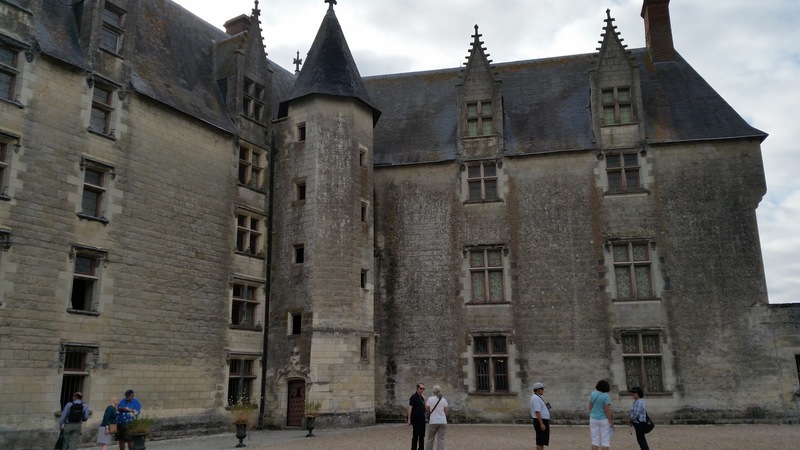 Up until the reign of King Louis XIII, Langeais was the property of the French crown and was sometimes given as reward or compensation to various families and underwent little maintenance or renovation. It was abandoned during the French Revolution. In 1886, businessman Jacques Siegfried bought the Château and spent twenty years giving the castle the appearance of a stately home from the end of the fifteenth century. He purchased and installed period furnishings and an outstanding collection of medieval and Renaissance tapestries. The tapestries depict scenes that were popular in the Middle Ages such as chivalry, sacred history, hunting scenes, nature and allegories. They date from the fifteenth and sixteenth centuries. Siegfried also created the gardens on the terrace. In 1904, Siegfried bequeathed Langeais to the Institute de France which still owns and maintains it to this day. In 1961, Henri Hautecoeur, a member of the Academy of fine arts proposed reconstruction of the gardens. His plan was inspired by the medieval illuminated “Book of Hours” of Anne of Brittany.